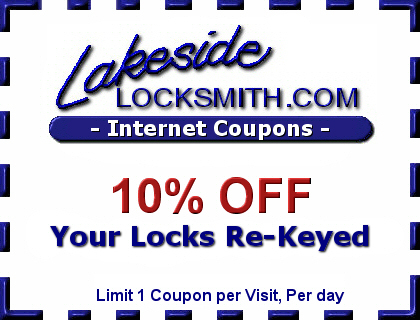 Print and Use any of the Coupons below for Special Savings on Your next visit to Lakeside Locksmith! Coupons must be mentioned and Presented at time of Service to recieve the Savings! Some restrictions may Apply!. 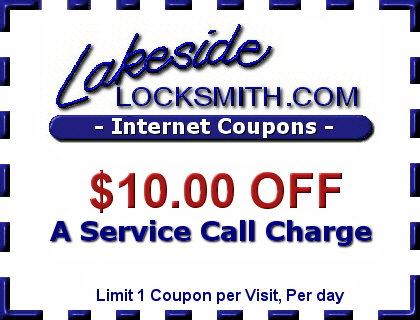 Only One Coupon per Visit!